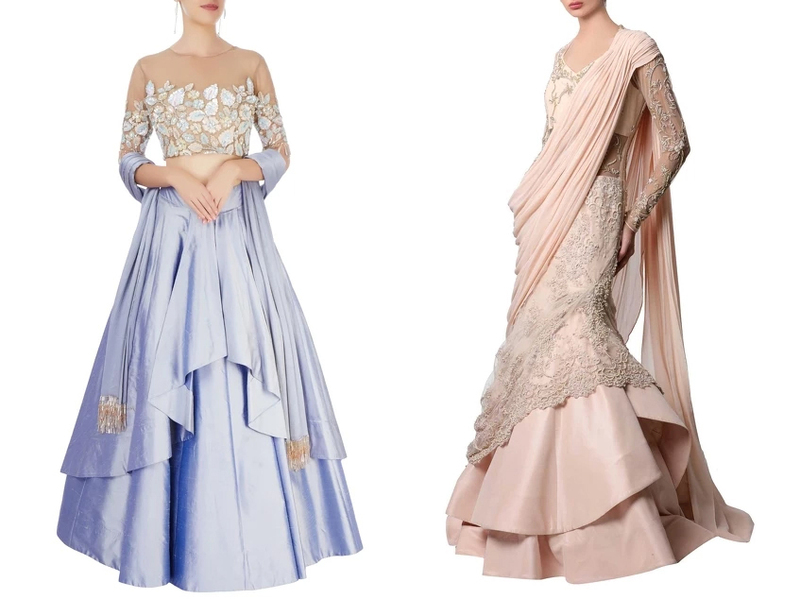 Indians may inherently veer towards vibrant colours, especially for weddings but an equal fondness for dreamy pastels is making waves. In fact, wedding themes and locations such as the beach, rustic outdoors, summer gardens, elaborate lawn themes etc. use pastels as an overall color palette for the decor too. The new bold in wedding styling is to dare to be different and to don pastels. From soft pinks, peaches, beiges, creams, mint greens and powdery blues take inspiration from our occasion appropriate list of pastels! 1) Pastels, with their subtle and sophisticated look, work as perfect surface colors to showcase the true beauty and delicateness of embroideries and embellishments. 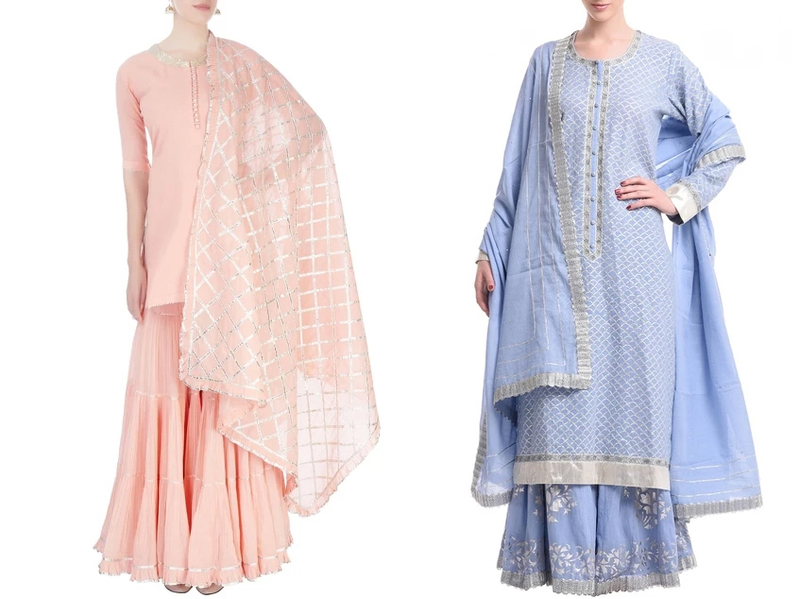 Whether it is those pre and post wedding poojas or family dinners stock your casual wear wardrobe with traditional gota pattis and elegant pastel shades. 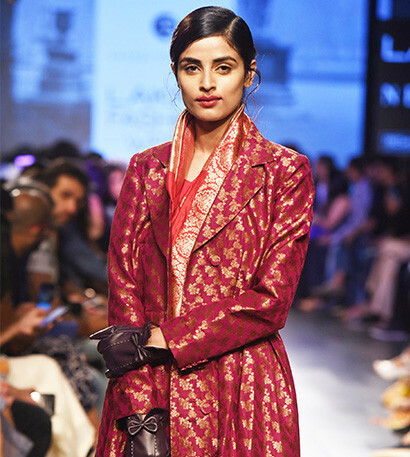 These Sukriti and Aakriti shararas sets from Aza are the ideal choice. 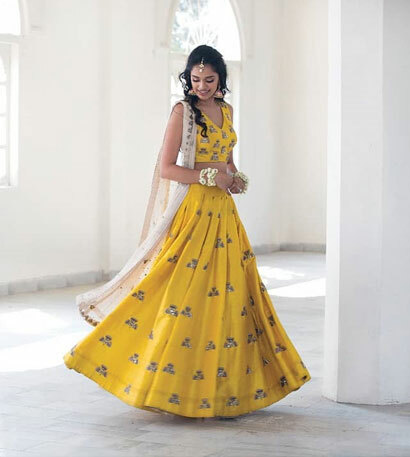 2) For guests at the wedding, Aza features Arpita Mehta’s fashion aesthetic that combines florals and pastels to create a scintillating range of lehengas and kurta sets. 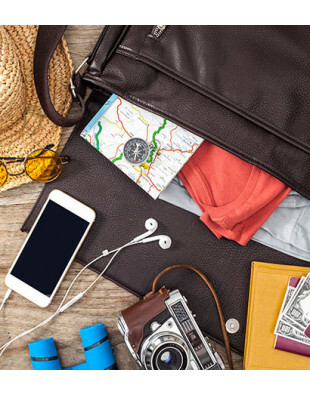 With these you can ensure that style is in vogue without being over the top. 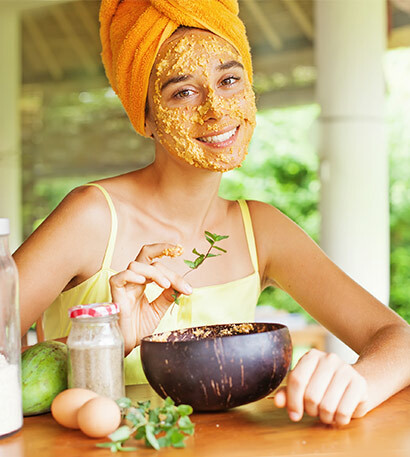 But if you are the bride, you have to stand out, so opt for options like these! 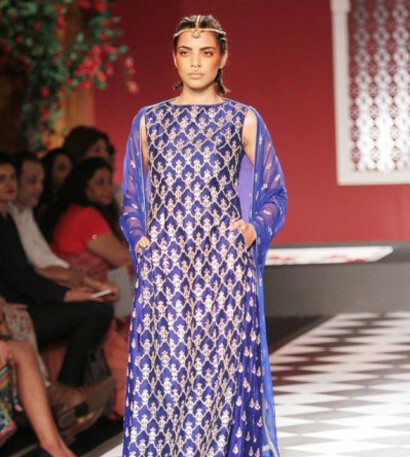 3) Bollywood inspired dramatic silhouettes should be your pick if you like it ultra-glamorous. 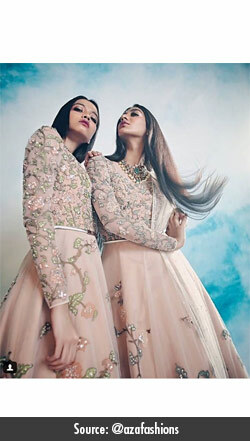 Whether you are the bride or the bride’s sister, our options for the Cocktail function has outfits from A-listers like Manish Malhotra and Gaurav Gupta at Aza. Floral Prints and embellishments like mirror work and embroidery team perfectly with pastel shades to create ethereal wedding pieces. 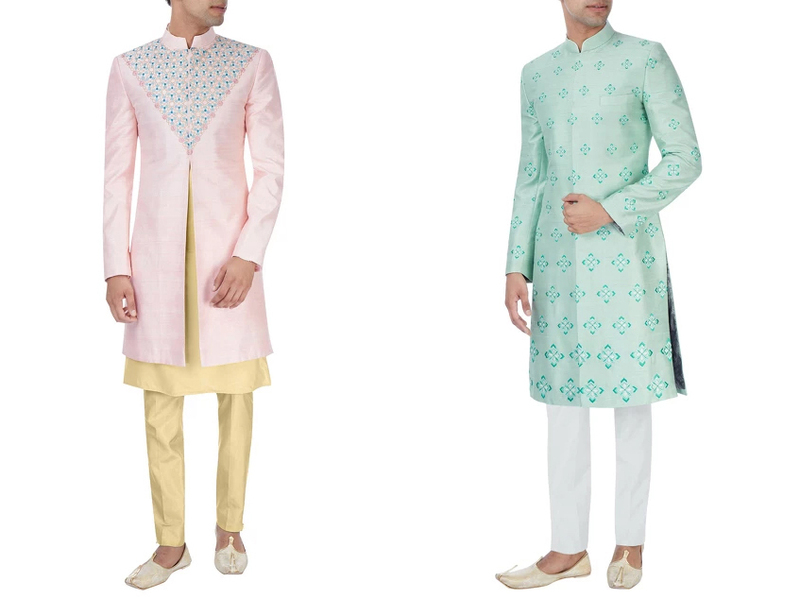 4) Grooms are happily joining the pastel club with creams and golds. 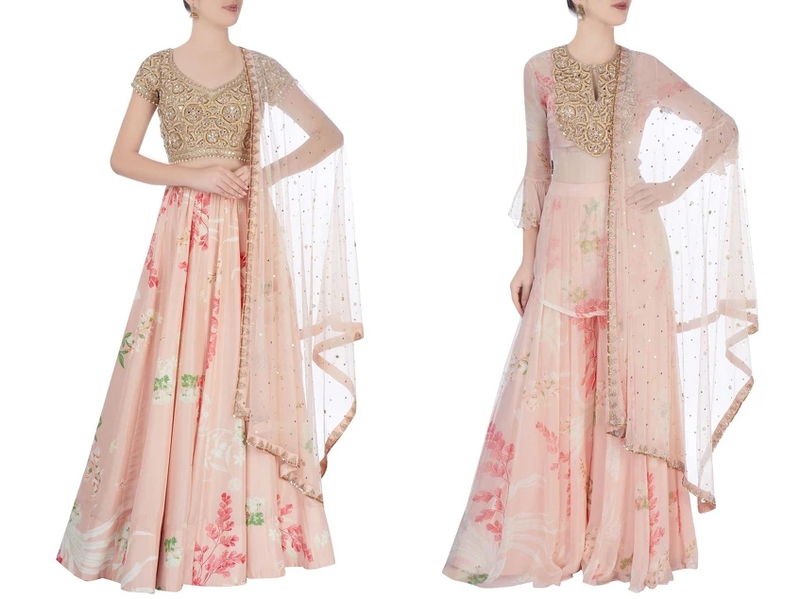 These colours sit well with what the bride chooses and will result in a coordinated look, where you look beautiful together. Crafted for the suave Indian man, Aza brings to you the best of fashionable sherwanis by SS Homme for the wedding season. 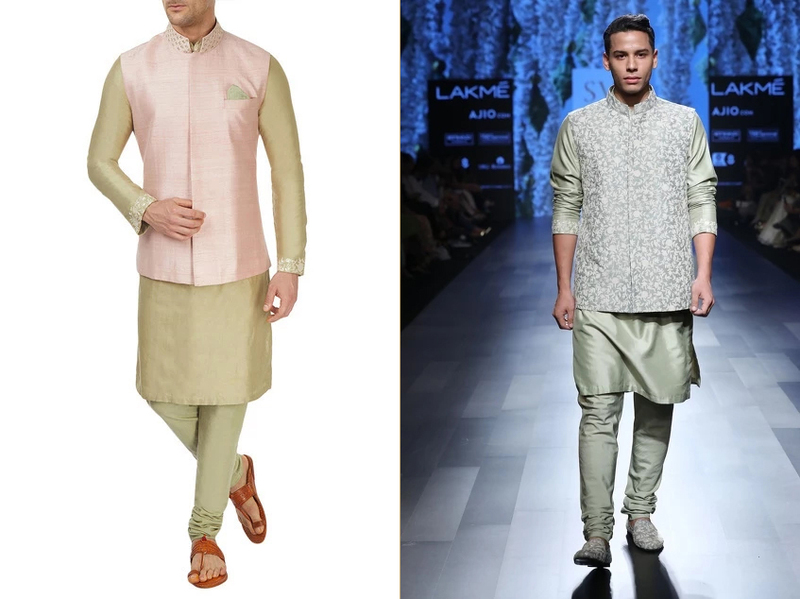 As for the new age groom who likes to sport fresh fashion, Aza presents kurta sets and bandis in pastel shades by SVA. 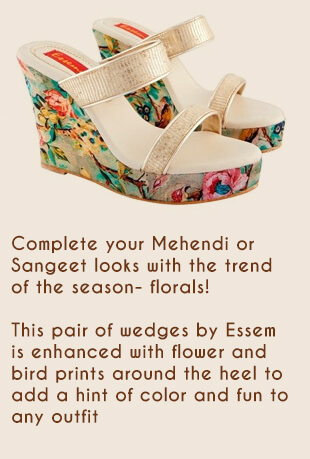 These make the perfect ensembles for Mehendi and Sangeet parties as they are lightweight and easy to move around in. 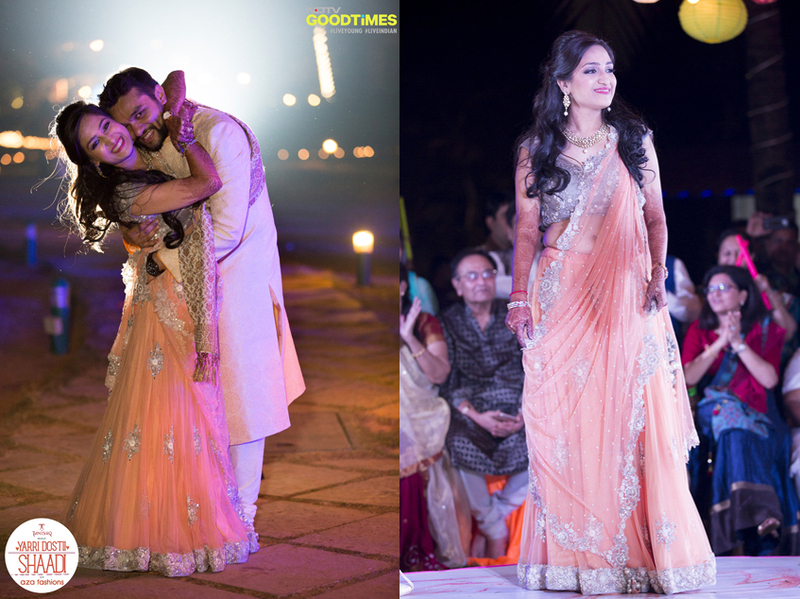 The proof of the pastel versitality however lies in the real brides we styled last year, on Yarri Dostii Shaadi Season 2. 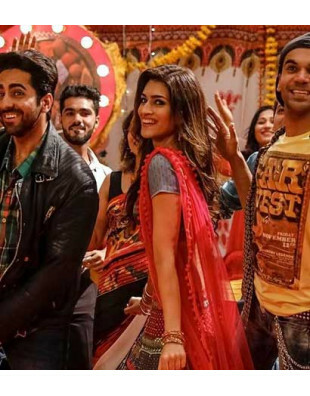 From Mehendis, Sangeets to Receptions, we leave with some more ideas. 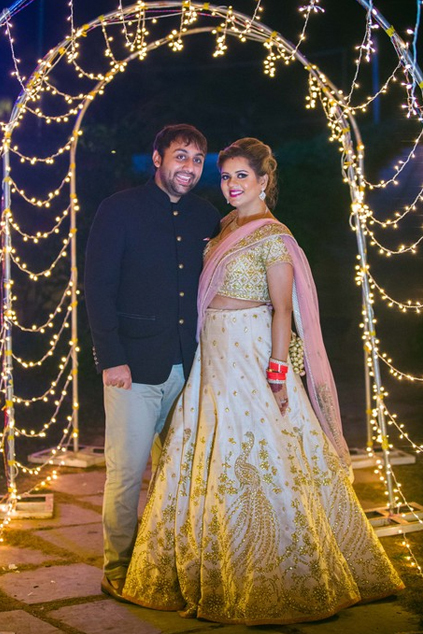 For her mehendi, Manjula wore a pista green and powder pink lehenga with mirrors on it. Mirrors are to pastels what strawberries are to cream, they offset the muted tones with their razzmatazz. 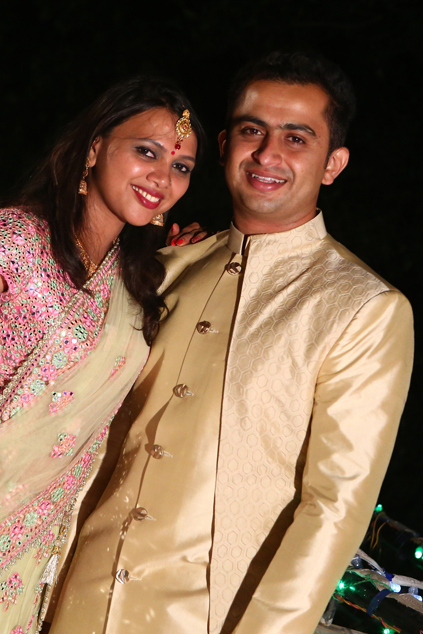 Neha wanted to look like a princess to match the regal splendor of the palace she was getting married in. Chandni on the other hand wanted pastels not only for an ethereal edge but also to reflect the UV lights at her sangeet, better. 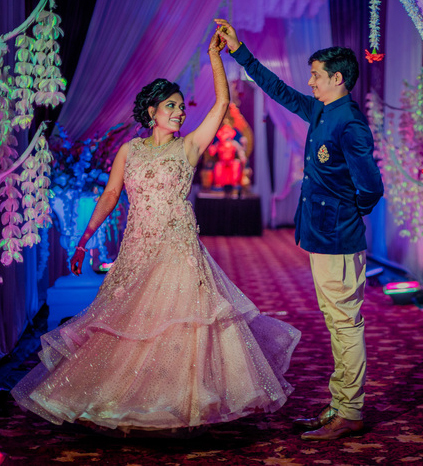 For the Cinderella effect for her reception, Supriya opted for a gown that played with net, lace and ample floral embellishments. 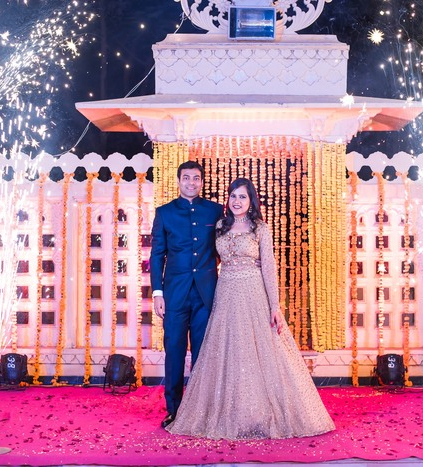 Shraddha’s cream lehenga was enhanced by gold zari peacock motifs that added all the glam needed to make this a reception ready look. And we love it! 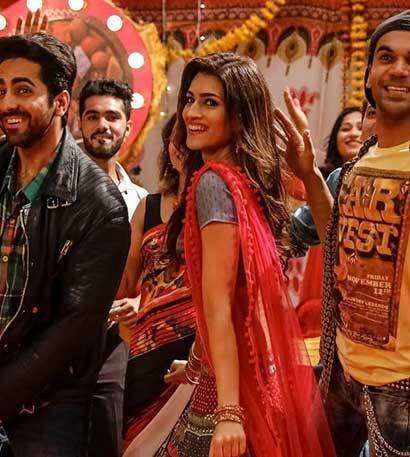 Hope these are inspiration enough for you to indulge in some pastels!